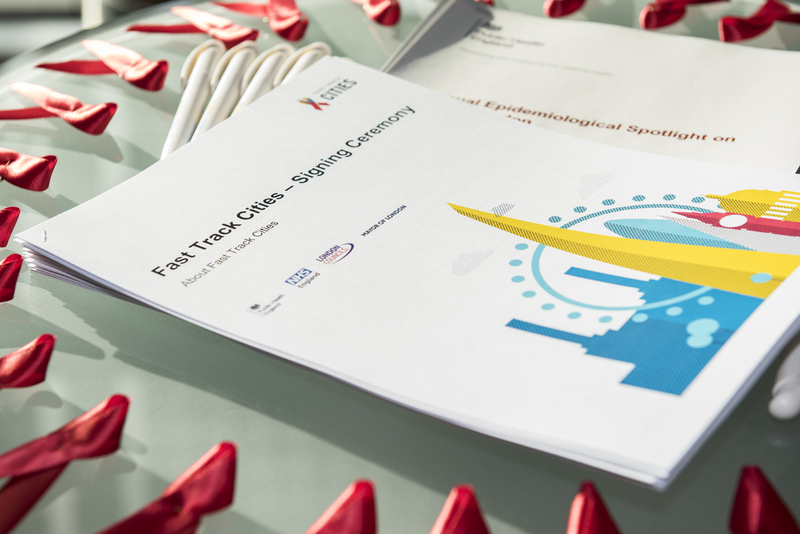 London’s ambition to cut rates of new HIV infection in the capital and eliminate discrimination associated with the condition has been boosted by signing up as a Fast Track City. 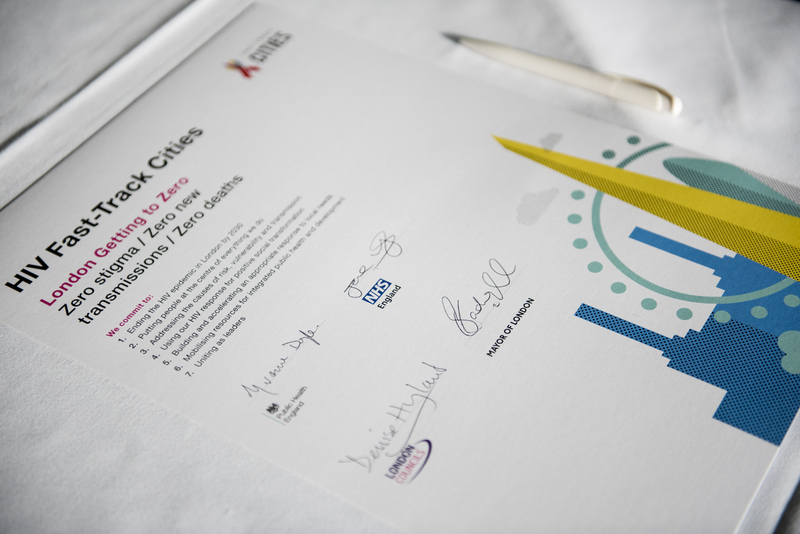 The Mayor of London has signed the Paris Declaration on Fast-Track Cities Ending the AIDS Epidemic, with borough leaders, Public Health England and NHS England in agreement to support the initiative. The capital has already made great strides towards achieving the primary United Nations (UN) targets for the Fast-Track Cities initiative. In 2016, for the first time in London, all the UN’s 90:90:90 targets were met1 with 90 per cent of people living with HIV infection diagnosed, 97 per cent of people diagnosed receiving treatment, and 97 per cent of people receiving treatment being virally suppressed. London is only the third city to achieve this target so far – joining Amsterdam and Melbourne. 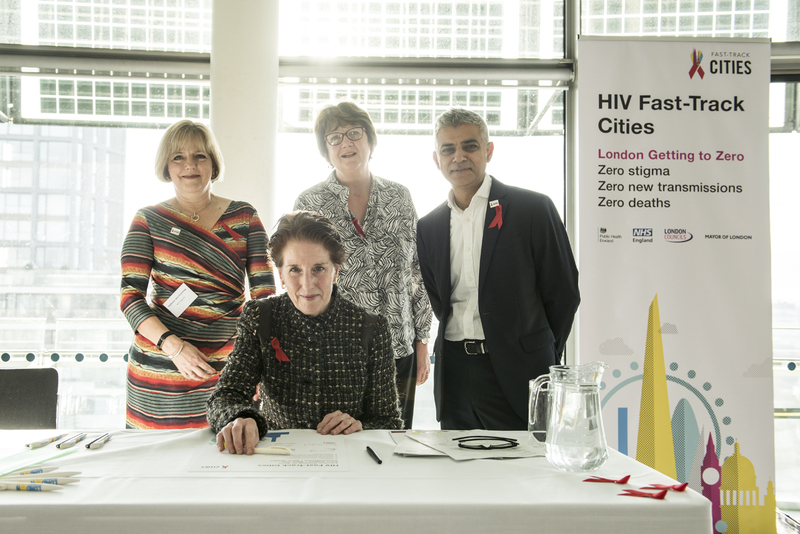 “Improving residents’ health and wellbeing is a priority for London boroughs, which is why we are delighted to sign up to the HIV Fast-Track Cities initiative to spur on London’s fight against HIV. London carries a high proportion of the national HIV epidemic. In 2016, an estimated 38,700 people were living with HIV in London, which represents 43 per cent of all people living with HIV in England. These figures include both those diagnosed and undiagnosed. The population groups most affected by HIV are gay and bisexual men and people of black African heritage. In 2016, the number of gay and bisexual men in London newly diagnosed with HIV fell for the first time in many years, falling by 30 per cent to an estimated 1,266 in 2016. The largest falls were seen in five specialist clinics in the capital - Dean Street, Mortimer Market, Homerton, St Mary’s and St Thomas’ – all of which deliver high rates of HIV testing and rapid access to effective treatment. Despite this progress, there is still much more to do. For many Londoners HIV remains a stigmatising condition that negatively impacts on quality of life. Late and undiagnosed infection rates remain unacceptably high (34 per cent and 10 per cent respectively) and with considerable geographical variability across the city. Prevalence varies by ethnicity and by place of residence with disproportionately high rates amongst black and ethnic minority (BAME) communities in poorer areas of the city. London’s HIV response to date includes Do It London, the pan-London prevention campaign funded by London boroughs as well as high-quality HIV treatment services delivered by the NHS. Community organisations have also been at the heart of the response to HIV. Since its launch in 2015, Do It London has promoted HIV testing and good sexual health across the capital. The current campaign phase informs the public of the variety of options now available for avoiding transmission of HIV through sexual contact. This reflects how London is embracing effective combination preventative treatment – including innovative approaches to HIV testing, diagnosis and treatment, drugs for pre-exposure prophylaxis (PrEP) and condom distribution.